What is Good Debt and Why it's Important? Debt is often associated with stress, bad financial decisions, and takes on a negative meaning. But in reality, some types of debt can be good. 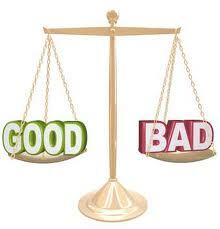 In fact, good debt is often vital for a healthy financial situation. The Debt Can Result In A Better Financial Gain. If the debt you are taking on has the possibility to lead you to a better financial situation, it can be good debt. For example, a student loan may be debt, but it also has the opportunity to earn you a higher income in the future. Taking out a small business loan may be debt, but it also has the potential to earn your income from this business. A mortgage can be considered a good debt since it can help you build home equity. A small amount of debt can help build your credit history. If you have debt and make payments on time every month, you can improve your credit score. Having no debt and no credit history whatsoever can result in you not being approved for a mortgage loan or other instances where your credit report comes into play. The chances of you paying cash for your home are very low, so taking out a mortgage is probably your best solution. While you are taking on the debt of a mortgage loan, you’ll now be able to own your property opposed to renting. The key is to buy a house you can afford, put a good amount as a down payment, and be prepared for maintenance, upkeep, and other costs of home ownership. Figure out what your monthly mortgage payment will be plus average costs for home maintenance and other costs. If this is not something you can confidently afford, then this good debt, is actually going to be bad debt. First, if you are taking out extra student loans for vacations or material objects or mismanaging the loans you have, this becomes bad debt. Entering college without a clear objective or plan can lead to bad debt as well because you may take out loans to pay for classes you don’t need. I’ve seen many students drop their classes halfway through a semester because of conflicts in their personal lives or change majors at the blink of an eye, which both lead to wasting this loan money. If you haven’t thought out your career path, student loans can become bad debt. If you’re racking up more than $100,000 in student loans to earn $20,000 per year, it might not be the best investment. In the past six years, college graduates have had trouble finding jobs after graduation. For some, a solution was to attend graduate school to further their education and “wait out” the rough job market. While this may seem like a great idea, racking up more debt is not the solution, and would be considered bad debt. A business loan may not be as common as a mortgage or a student loan, but it is still a great example of good debt. Before taking out a loan, be sure to have done your research and have a solid business plan with good profit prospects. Prior to starting a business, take time to understand what you’re getting into and what the best way to run this business will be. While having these types of debt is considered good, keep in mind it is still debt. Any time you are taking on a new loan or other type of debt, you should go into it with a solid plan and a thorough understanding of what it entails, what it will mean for your credit, and how the repayment process will work going forward. What are some other examples of good debt? How else can good debt go bad? I prefer to think of it as “bad debt” and “necessary debt.” You can’t buy a house without a mortgage; the same goes for a new car in many cases. You need the loan to buy the asset. If you’re in a position that requires you to take on some debt, you’ve got to do so only when you have a plan to pay it off in the quickest timeframe possible. Just because the loan term is 36 months doesn’t mean you need to take 36 months to pay it off. I don’t know that I’d say there was such thing as good debt, but “necessary” debt like Jay stated. I would tend to say that debt these types of debt should be able to put you in a situation where you can potentially earn a higher income or put you in a better position – like owning a house. 1. How is the debt treated in bankruptcy? 2. How is the debt treated in death or disability? 3. How does the debt affect your credit score? With good debt and bad debt, the distinction may be drawn between investment debt and consumption debt. Debt incurred for the purpose of a mortgage for example, would normally be considered good debt, the home (supposedly!) being an appreciating asset. Debt incurred to go on a luxury vacation to Hawaii for example is consumption debt. Debt incurred through consumer spending on non-appreciating assets can essentially be considered bad debt consumption spending.